A trip to WWF Wetland Center! Field trips are always considered as a good way to make students learn and enjoy at the same time. HOPE believes that learning should be fun and students should take part in all sorts of activities that will also help them in the future. Taking this viewpoint along, HOPE arranges a field trip for its Karachi Schools' students every year in partnership with P&G. This year the HOPE Home School, Karachi, students were taken to WWF Wetland Center, Sandspit. WWF representative gave a presentation and showed a documentary to the students which highlighted the importance of keeping the beach clean and saving the turtles. They were also taught the importance of mangroves. Afterwards, the students planted mangroves and cleaned the beach very excitingly. Thus, the students practically did what they were taught. Lunch was also arranged for the students, HOPE staff and volunteers of P&G in the end. The trip winded up with a lot of cheerful and happy moments and the students seemed pleased. 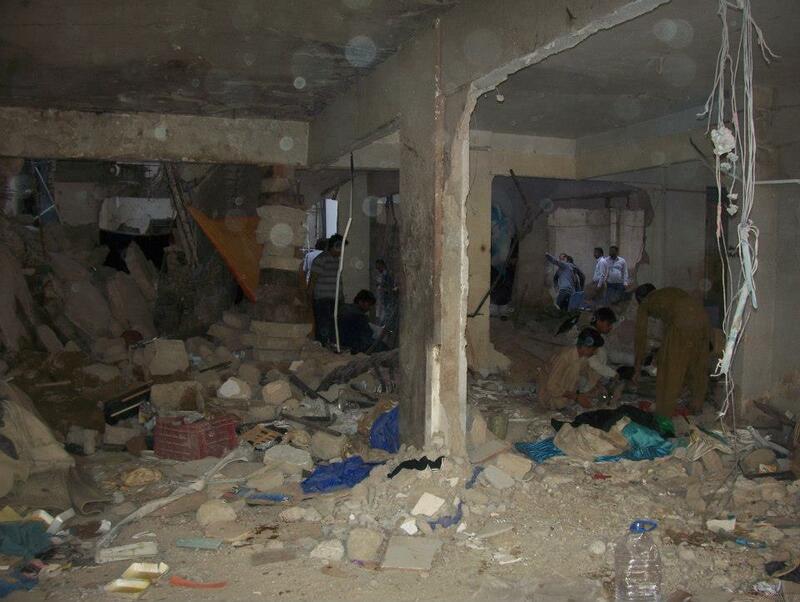 Soon after the catastrophic bomb blast that destroyed Abbas Town and its suburbs, HOPE employees and volunteers quickly mobilized their resources to help the victims of the bomb blast. Our main focus was to distribute cooked food and juices to those who were severely affected by the blast. Our team began distributing lunch packs by visiting the victims still living in their shattered apartments. 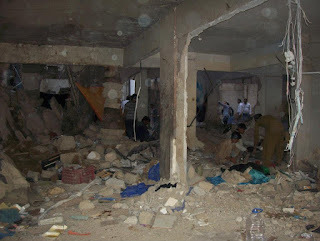 There were many people who had shifted to other places as their apartments were completely destroyed. Secondly, another problem we (HOPE workers) faced was that there was a distinct lack of organization in the aid distribution operations. We feel that a lot more can be done for the affectees if there is a proper channel for distribution of aid. ARZU - an active effort to promote philanthropy! 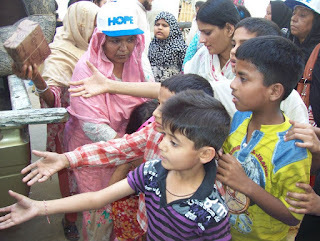 HOPE is dedicated in bringing a positive change in the society and youth is the major agent of change. The youth needs inspiration and motivation from real life stories and experiences. By taking this view point along, HOPE organized a training event “Arzu” at Arts Council on 27th February which was an active effort to promote philanthropy among youth. In this regard, The City School PAF Chapter Outreach Society collaborated with HOPE, considering it as their social responsibility to make the event a success and to help HOPE spread education across the country! The trainers of the event covered many aspects of learning and motivated the participants in achieving a specific developmental goal through self-reliant efforts. It was a four hour event through which HOPE strived to give maximum learning opportunities and a chance to enjoy to all the participants. 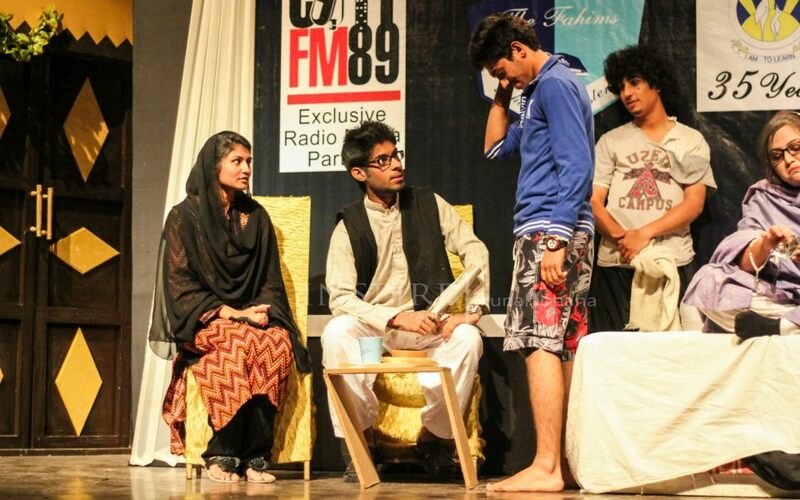 The event also included a social play which was performed by the students of The City School PAF Chapter A levels section followed by a panel discussion. The panel included Dr. Mubina Agboatwalla - Chairperson HOPE, Dr. Fateh Mohammad Burfat - Professor of Sociology at University of Karachi, Hira Tareen - A renowned model, actress and a DJ, Urooj Moiz - Mind Sciences Trainer, Aqsa Junejo - Journalist, Mr. & Mrs. Faheem - Owner Faheems School System, Ms. Khadija Rizvi - member of HOPE's Helper Committee. The panelists discussed the importance of philanthropy in our society and how students, the youth can help bring about a positive change! Arzu catered around 300 students from different educational institutes of Karachi and the proceeds of the tickets purchased have been donated to the underprivileged children studying at HOPE schools. HOPE is grateful to all those who helped making this event a success including Mr. Ahmed Shah - President of Arts Council, Ms. Ghazala Aijaz, Principal, Faheem School System, Ms. Shireen Karamally - Headmistress, A levels Section, The City School PAF Chapter, Khurram J. Khan - President Outreach Society, The City School PAF Chapter and the event’s sponsor 7 wonders city and City FM 89, the Official Media Partner.